If Buddha saw an animal which was injured or suffering, what would he do, if he were the only person who could do something? Would he think the suffering is karmic so no need to act? Or would he try to help the animal to recover? Or just showing compassion? In some of the tales told of the Buddha's previous life he actually sacrifices his own flesh or life to save the lives of animals. That doesn't mean that we need to make such sacrifices, just saying that, yes, the Buddha would show compassion. Also, the argument for inaction in response to suffering because of karma doesn't take the idea of karma far enough. If you did help, that would also be their karma. 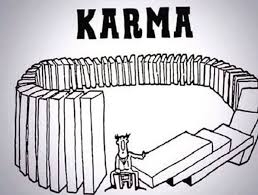 Since we don't know the extent of another's karma it shouldn't bear any weight in our decision making. Having said that, it is also important to act skillfully. Sometimes taking unskillful action, even motivated by compassion can make things worse than doing nothing or making minimal intervention. What would the karmic impact be on this person if they consciously chose to ignore the suffering of others ( especially when they have the means to alleviate/ease the suffering ) ? But in the long run.... I guess... 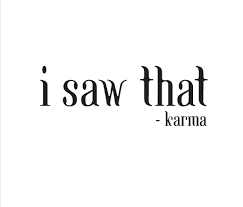 It's one's karma if you do and it's one's karma if you don't ! In answer to your question, "How would the Buddha act..." I suspect the Buddha wouldn't act - he would simply be the Buddha. Or would he try to help the animal to recover? Or just showing compassion? Does not require Buddhahood to be kind. I think this is a good answer. I would think that if a wounded animal had the great good fortune to come across a being as wise and capable as a Buddha, that would be their karma and the Buddha would help them. He would most certainly help the animal in the way that would be most appropriate for the animal, just like he does for humans. When it comes to helping beings and alleviating suffering, Buddha does not discriminate according to what type of being they are. Would he think the suffering is karmic so no need to act? He would never say that. If he did, there would be no reason to help people either as their suffering is karmic too. Well, shrugging and thinking, "Oh well, that's his karma" isn't very compassionate, is it? Walking away from suffering doesn't help us develop compassion, does it? If the stories about the current Dalai Lama are to be believed, as a small child (around age 3 or 4? ), he rescued an insect from some predator--a larger insect or beetle, or some such. This was taken as a sign, that he was an incarnation of a compassionate being, i.e. that he was already a highly-developed Bodhisattva, due to past-life studies and experience. No, that is basically very much a Hindu Ajivaka thought process. I'm going to close the thread on a TEMPORARY basis, welcoming and encouraging @Asabasstsi to send me a message requesting I re-open it for his response. Many thanks everyone, for, as ever, your considered replies.